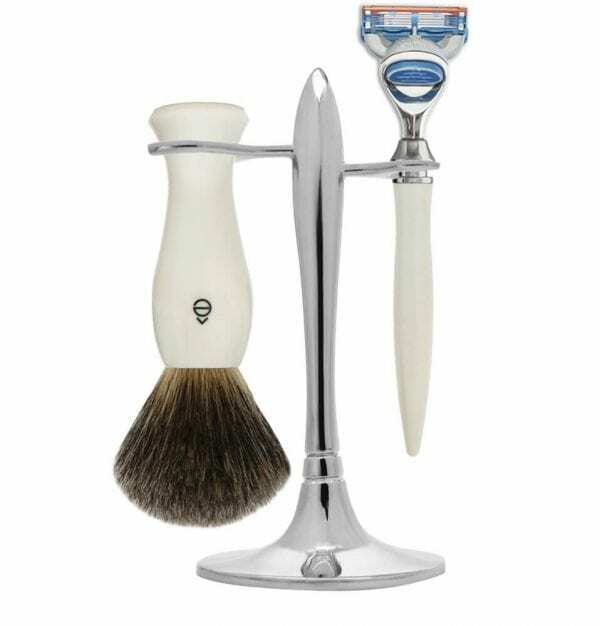 For the Best Shave EVER! 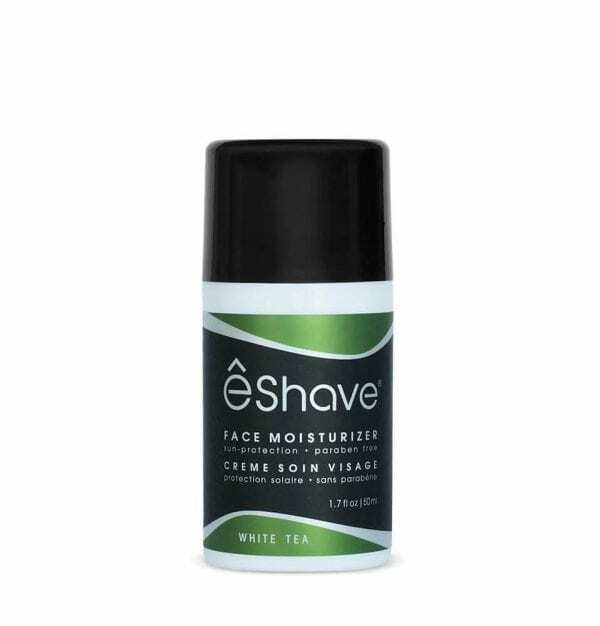 eShave, was created in 1996 with you in mind: How can we offer men the most enjoyable and performing experience to start the day? 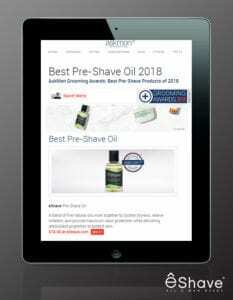 … By developing a unique line of shaving products that delivers results. 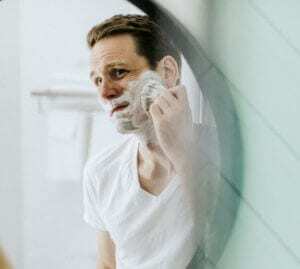 After consulting with traditional Barbers in London, Danielle developed the 3 steps to the Best Shave EVER, combining high quality wet shaving products and barber’s secret techniques. 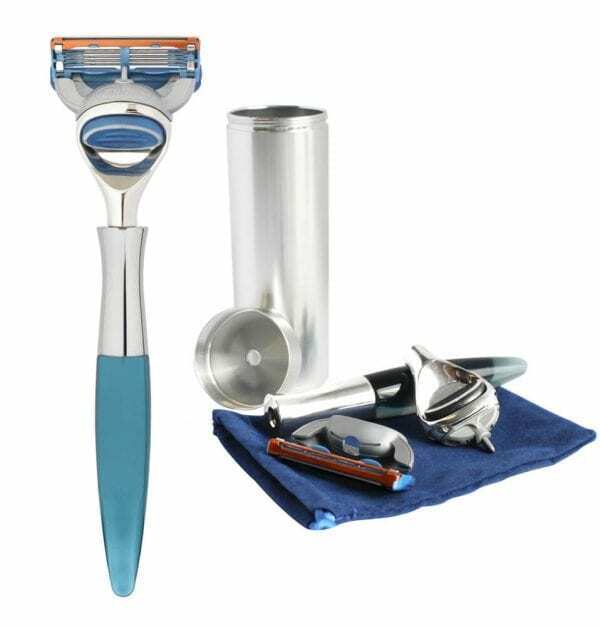 Until today eShave delivers on the promise it made to you 22 years ago. 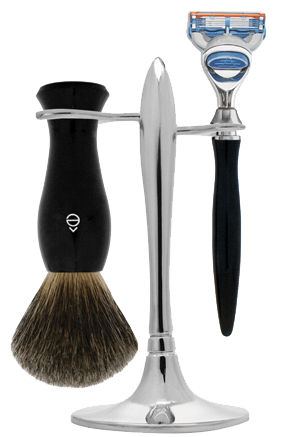 eShave, takes the traditional wet-shaving concept and gives it a fun, modern twist with striking artistic pieces inspired by art and dance. 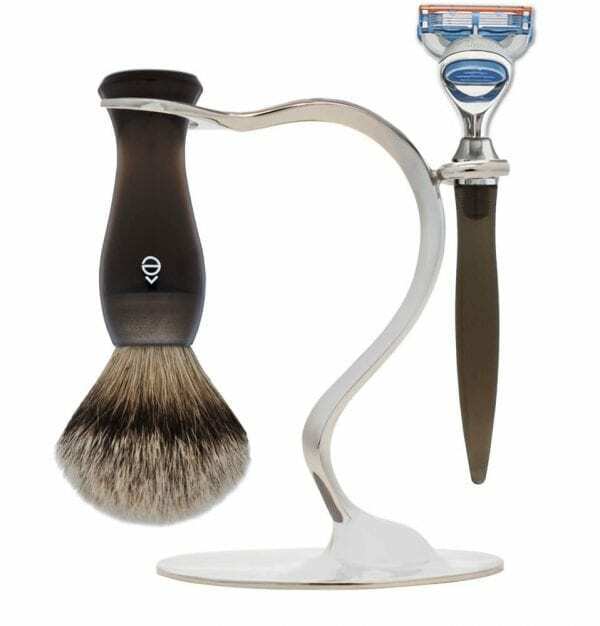 Playful Lucite razors and shaving brushes are offered in vivid colors, while its sculpted shave stands evoke flowing movements, making each shaving set a unique piece of art. 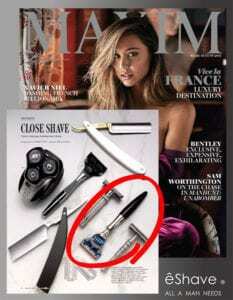 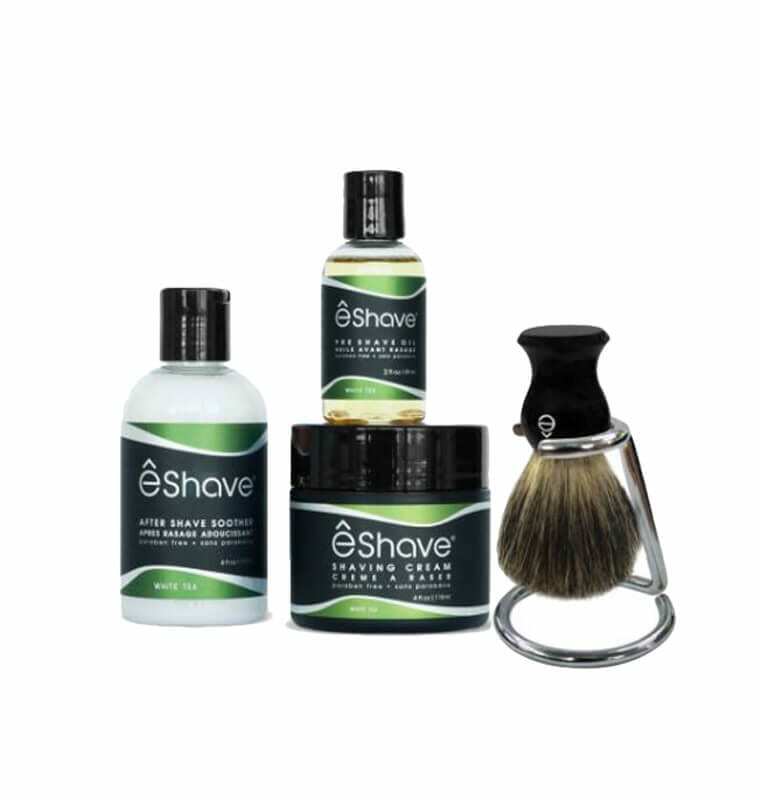 eShave creates one-of-a-kind, artistic tools and accessories and continues to be the only company that hand-sculpts its own designs to appeal to the modern men. 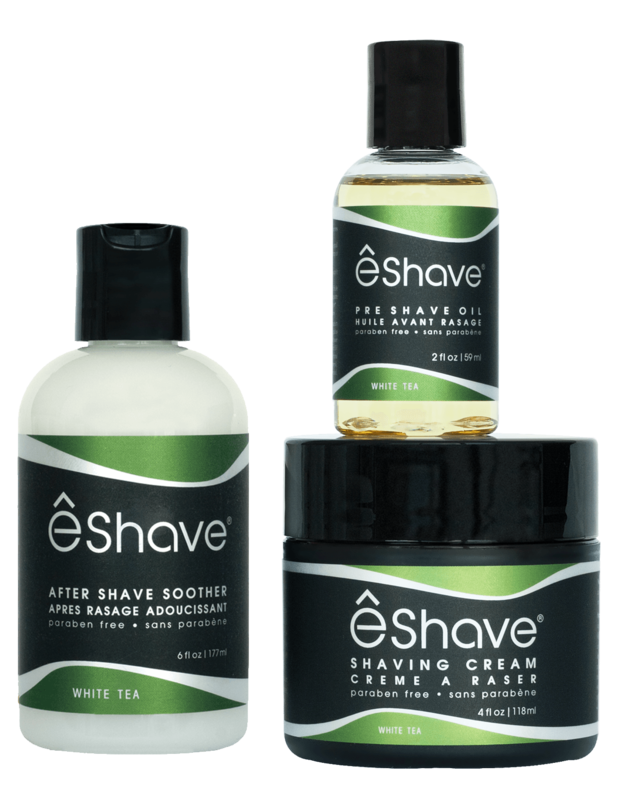 eShave has modernized the wet-shaving industry. 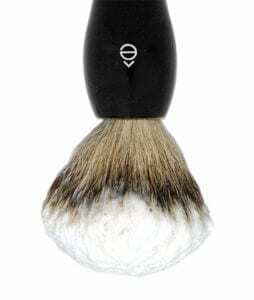 No razor burn, no bumps, no ingrown hair, no 5 o’clock shadow, just irresistible, touchable, smooth skin.